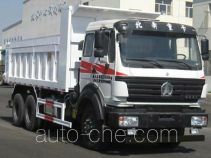 Dump trucks, tractors, cargo trucks and concrete mixers made by Beifang Benchi Heavy-Duty Truck Group Co., Ltd. 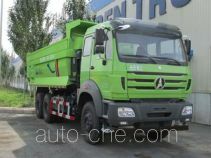 Dump trucks (tipper trucks) Beiben North Benz, Tiema, Beidi are made in China by the following companies: Baotou BeiBen Heavy-Duty Truck Co., Ltd. (North Benz) (a heavy duty truck manufacturer in Baotou, Inner Mongolia Autonomous Region (Neimenggu)), BeiBen Heavy-Duty Truck Group Co., Ltd. (North Benz) (a manufacturing company in Baotou, Inner Mongolia Autonomous Region (Neimenggu)), Chongqing BeiBen Automobile Co., Ltd. (an automobile manufacturer in Zhongqing, Chongqing Municipality), Baotou Beifang Chuangye Special Purpose Vehicle Co., Ltd. (a special purpose vehicle manufacturer in Baotou, Inner Mongolia Autonomous Region (Neimenggu)). 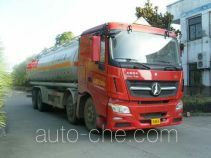 Tractor units Beiben North Benz, Tiema are made in China by the following companies: Baotou BeiBen Heavy-Duty Truck Co., Ltd. (North Benz) (a heavy duty truck manufacturer in Baotou, Inner Mongolia Autonomous Region (Neimenggu)), BeiBen Heavy-Duty Truck Group Co., Ltd. (North Benz) (a manufacturing company in Baotou, Inner Mongolia Autonomous Region (Neimenggu)), Chongqing BeiBen Automobile Co., Ltd. (an automobile manufacturer in Zhongqing, Chongqing Municipality). 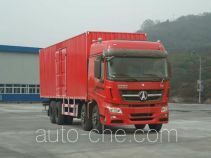 Cargo trucks Beiben North Benz, Tiema are made in China by the following companies: Chongqing BeiBen Automobile Co., Ltd. (an automobile manufacturer in Zhongqing, Chongqing Municipality), BeiBen Heavy-Duty Truck Group Co., Ltd. (North Benz) (a manufacturing company in Baotou, Inner Mongolia Autonomous Region (Neimenggu)), Baotou BeiBen Heavy-Duty Truck Co., Ltd. (North Benz) (a heavy duty truck manufacturer in Baotou, Inner Mongolia Autonomous Region (Neimenggu)). 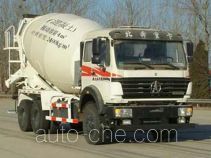 Concrete mixer trucks (cement mixers) Beiben North Benz, Tiema are made in China by the following companies: Baotou BeiBen Heavy-Duty Truck Co., Ltd. (North Benz) (a heavy duty truck manufacturer in Baotou, Inner Mongolia Autonomous Region (Neimenggu)), BeiBen Heavy-Duty Truck Group Co., Ltd. (North Benz) (a manufacturing company in Baotou, Inner Mongolia Autonomous Region (Neimenggu)), Chongqing BeiBen Automobile Co., Ltd. (an automobile manufacturer in Zhongqing, Chongqing Municipality). 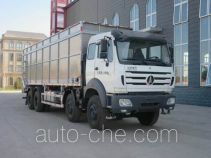 Stake trucks Beiben North Benz, Tiema, Beidi are made in China by the following companies: Baotou BeiBen Heavy-Duty Truck Co., Ltd. (North Benz) (a heavy duty truck manufacturer in Baotou, Inner Mongolia Autonomous Region (Neimenggu)), BeiBen Heavy-Duty Truck Group Co., Ltd. (North Benz) (a manufacturing company in Baotou, Inner Mongolia Autonomous Region (Neimenggu)), Chongqing BeiBen Automobile Co., Ltd. (an automobile manufacturer in Zhongqing, Chongqing Municipality), Baotou Beifang Chuangye Special Purpose Vehicle Co., Ltd. (a special purpose vehicle manufacturer in Baotou, Inner Mongolia Autonomous Region (Neimenggu)). 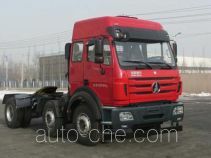 Box van trucks Beiben North Benz, Beidi are made in China by the following companies: Baotou BeiBen Heavy-Duty Truck Co., Ltd. (North Benz) (a heavy duty truck manufacturer in Baotou, Inner Mongolia Autonomous Region (Neimenggu)), BeiBen Heavy-Duty Truck Group Co., Ltd. (North Benz) (a manufacturing company in Baotou, Inner Mongolia Autonomous Region (Neimenggu)), Baotou Beifang Chuangye Special Purpose Vehicle Co., Ltd. (a special purpose vehicle manufacturer in Baotou, Inner Mongolia Autonomous Region (Neimenggu)). 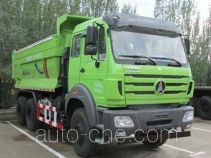 Dump garbage trucks Beiben North Benz, Tiema are made in China by the following companies: BeiBen Heavy-Duty Truck Group Co., Ltd. (North Benz) (a manufacturing company in Baotou, Inner Mongolia Autonomous Region (Neimenggu)), Baotou BeiBen Heavy-Duty Truck Co., Ltd. (North Benz) (a heavy duty truck manufacturer in Baotou, Inner Mongolia Autonomous Region (Neimenggu)), Chongqing BeiBen Automobile Co., Ltd. (an automobile manufacturer in Zhongqing, Chongqing Municipality). 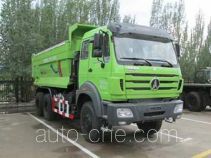 Off-road trucks Beiben North Benz, Tiema are made in China by the following companies: Baotou BeiBen Heavy-Duty Truck Co., Ltd. (North Benz) (a heavy duty truck manufacturer in Baotou, Inner Mongolia Autonomous Region (Neimenggu)), BeiBen Heavy-Duty Truck Group Co., Ltd. (North Benz) (a manufacturing company in Baotou, Inner Mongolia Autonomous Region (Neimenggu)), Chongqing BeiBen Automobile Co., Ltd. (an automobile manufacturer in Zhongqing, Chongqing Municipality). 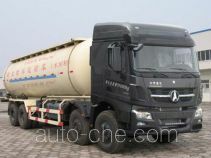 Bulk powder transport tank trucks Beiben North Benz, Beidi, Tiema are made in China by the following companies: Baotou Beifang Chuangye Special Purpose Vehicle Co., Ltd. (a special purpose vehicle manufacturer in Baotou, Inner Mongolia Autonomous Region (Neimenggu)), Baotou BeiBen Heavy-Duty Truck Co., Ltd. (North Benz) (a heavy duty truck manufacturer in Baotou, Inner Mongolia Autonomous Region (Neimenggu)), Chongqing BeiBen Automobile Co., Ltd. (an automobile manufacturer in Zhongqing, Chongqing Municipality). 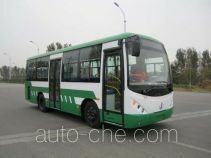 City buses Beiben North Benz are made in China by the following companies: Baotou BeiBen Heavy-Duty Truck Co., Ltd. (North Benz) (a heavy duty truck manufacturer in Baotou, Inner Mongolia Autonomous Region (Neimenggu)), BeiBen Heavy-Duty Truck Group Co., Ltd. (North Benz) (a manufacturing company in Baotou, Inner Mongolia Autonomous Region (Neimenggu)). 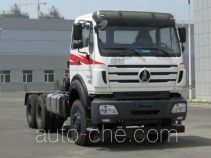 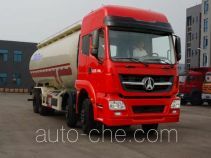 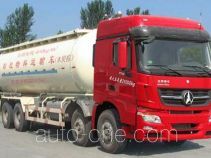 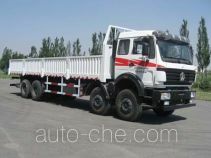 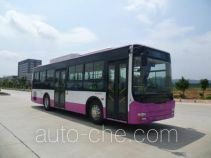 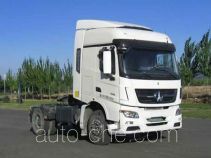 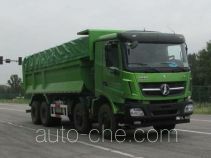 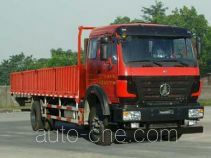 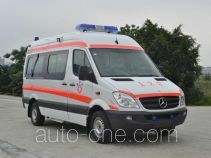 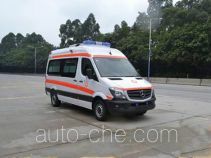 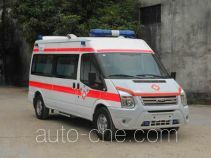 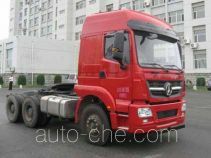 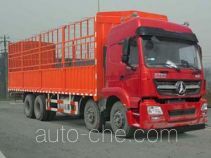 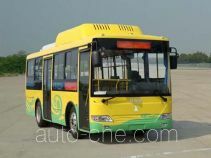 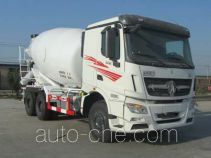 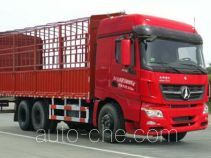 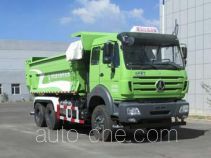 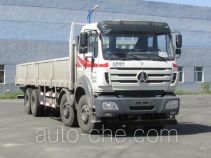 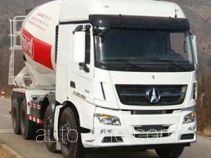 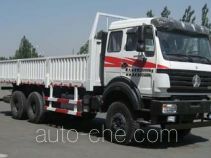 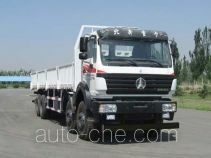 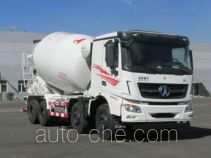 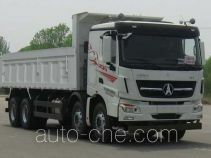 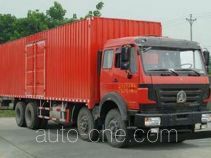 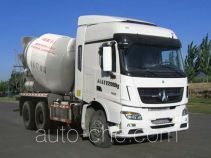 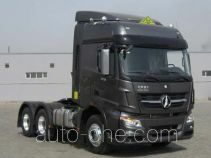 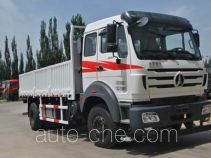 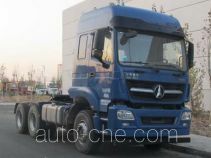 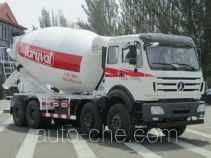 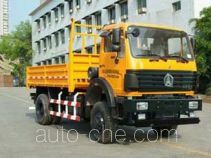 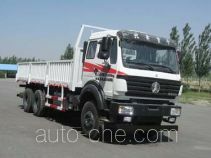 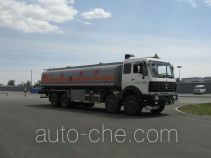 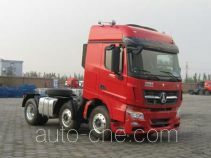 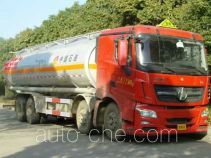 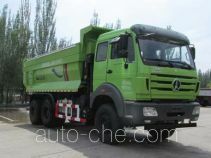 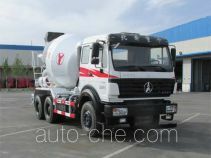 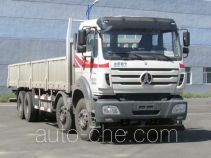 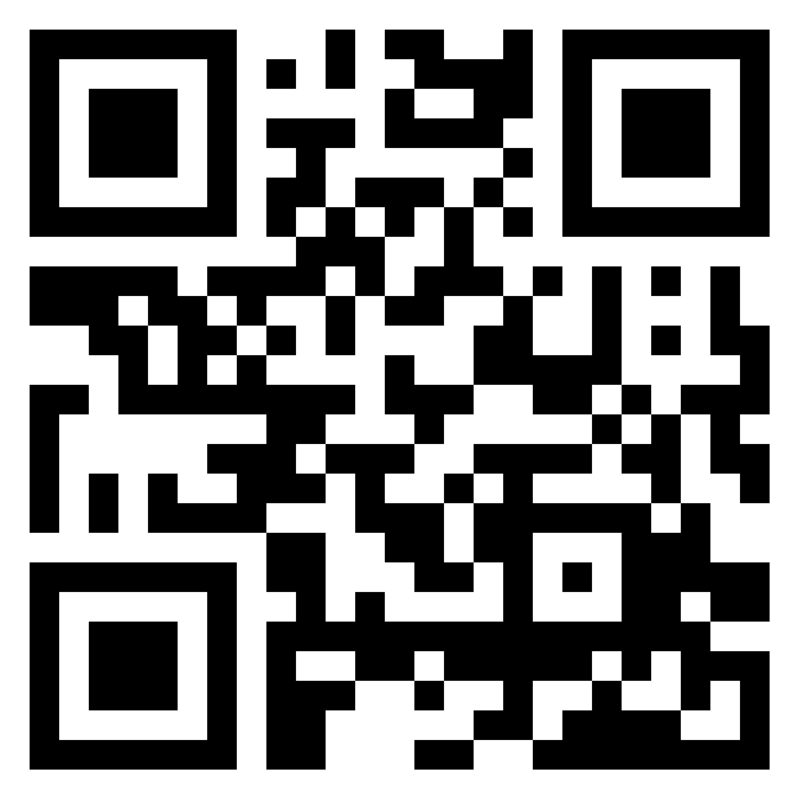 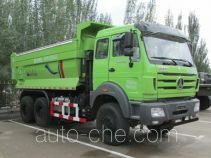 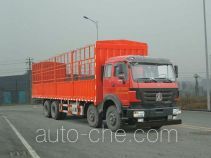 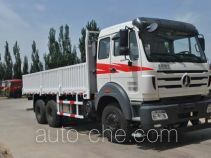 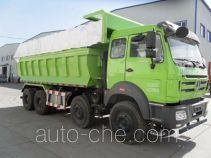 The vehicles made by Beifang Benchi Heavy-Duty Truck Group Co., Ltd.